Against the advice of its local teams in China due to its racially stereotypical content, Italian luxury brand Dolce & Gabbana forged ahead and released a campaign for its upcoming Shanghai show, #DGTheGreatShow, in which a Chinese model is depicted eating spaghetti with chopsticks. As predicted, social media swiftly flooded with accusations that this kind of imagery was out of touch with Chinese culture. Rather than issuing an apology as is customary, Stefano Gabbana became argumentative on Instagram, engaging with users who called out the video’s content, and heaping abuse on detractors. He even reposted some of his private conversations to his Instagram story before deleting the stories and claiming that his Instagram account was hacked. Curiously, the “hacked” conversations used the same abusive language Gabbana has employed to attack commentators and detractors in the past. The Shanghai government reacted in kind by cancelling the brand’s permit to host its fashion show on the day the show was supposed to take place, reportedly costing the brand millions of dollars. Chinese citizens and retailers reacted swiftly. Consumers posted videos using Dolce & Gabbana garments as rags, while Alibaba, JD.com, Yangmatou, Lane Crawford, and many other Chinese platforms removed Dolce & Gabbana products from stock. The final nail in the coffin came when e-commerce mega-giant, Yoox Net-a-Porter removed Dolce & Gabbana’s inventory as well. As the controversy raged online, much credit should be given to the Instagram account @Diet_Prada for calling out Gabbana’s vile, abusive behavior, and for creating the timeline that exposed the “hacking” cover-up as a lie. In Paris, thousands of protesters flooded the streets over the past week to display their outrage over a coming tax hike on gas in January. France already pays some of the highest gas prices in the world, and the incoming tax hike only serves to make them higher. The protests turned violent over the weekend, sparking dozens of arrests. President Emmanuel Macron has promised concessions, while protesters have in turn demanded his resignation. Neighboring England is also contending with a protest movement in its capital of London, led by Extinction Rebellion, an organized group that aims to force the government into acknowledging and implementing drastic measures to slow climate change. Instead of marching in the streets, groups would strategically swarm bridges, main access roads, and other thoroughfares around the busy city causing major traffic stalls. Five bridges were temporarily shut down, and 82 protesters were arrested during the dispute. With their first baby on the way, Prince Harry and Meghan Markle, the Duchess of Sussex, have begun the nesting phase of their relationship. Currently residing at the sprawling location of Kensington Palace, the famous couple is preparing to move to the more manageable (but no less impressive) Frogmore Cottage at Windsor Castle. The cottage comes equipped with 10 bedrooms, including a built-in nursery. 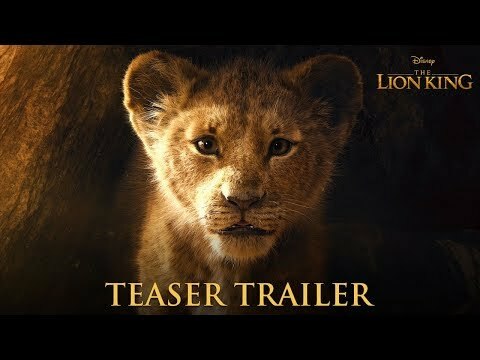 Disney’s hotly new anticipated live action remake of The Lion King – which boasts on all-star cast including Donald Glover (Simba), Beyoncé (Naala), and Seth Rogen (Pumba) – was released on Thanksgiving Day. Combining CGI and real-life cinematography, a technique first expertly pioneered by the film’s director, Jon Favreau in his remake of The Jungle Book, the new version of The Lion King looks like it will stay pretty faithful to the original. Famed shoe designer Roger Vivier might have only worked for Dior for a decade, but the imprint he left on the brand was indelible. In Dior’s new book release, published by Rizzoli, Vivier’s exquisite, jewel-like footwear creations are brought to life in its glossy pages with the aid of Gérard Uféras’s vivid photography. From 1953-1963, the book traces ten years of collaboration between Dior and Vivier, which honored aspects of the founder’s vision, as well as that of his successors, Yves Saint Laurent and Marc Bohan. If you’re searching for the perfect holiday gift for the fashion, footwear, or Dior enthusiast in your life, this gem of a find ticks all the right boxes.